With over twenty three years of experience, Dr. Piro is the most experienced and longest practicing board certified dermatologist in Livingston County. He is trained in the latest and most advanced techniques in general dermatology, anti-aging skin care and dermatologic cosmetic surgery. Dr. Piro and his staff provide the best and most up to date treatment available today for disorders of the skin, hair and nails. 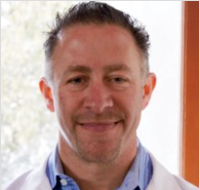 Dr. Piro is a graduate of Wayne State University with a degree in biology and a published researcher in nutrition. He graduated in the top ten percent of his medical school class at Michigan State University and completed his residency at Bi-County Hospital / Henry Ford Hospital Macomb campus. Dr. Piro is an award winning Clinical Professor at Michigan State University and teaches dermatology to medical students each year on campus. He is a member of the American Academy of Dermatology and a staff physician at St. Joseph Mercy Hospital in Howell and Ann Arbor. Ashley joined our practice in the Summer of 2012. She is from Asheville, North Carolina and is now living in Northville, Michigan. Her professional interests focus on acne, skin cancer, atopic dermatitis, and hair loss. Ashley is Certified Physician Assistant who graduated with her masters from Lock Haven University of Pennsylvania. Prior to Lock Haven University, she completed her degree in biology at Mars Hill University where she competed in track and field and still holds the school’s high jump record. 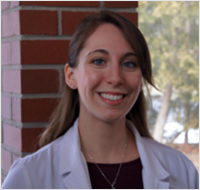 Ashley is a member of the Society of the Dermatology Physician Assistants, Michigan Academy of Physician Assistants, and also the Michigan Dermatology Physician Assistants (MiDPA). She has served as Treasurer of the MiDPA in the past. I have gone to Dr. Piro for years and wouldn't consider anywhere else. Friendliest staff, very nice office, great products and results. Very respectful to patients' concerns and experience. Overall the most positive of medical experiences! We are relatively new patients of Dr. Piro. The office area is clean and up to date. The staff is friendly and co operative. Ashley, the PA, is excellent and has been very helpful. I love Dr. Piro and his staff! They are all very professional, and considerate of my time. Dr. Piro has helped me to keep my skin looking it's best. I would never go anywhere else.